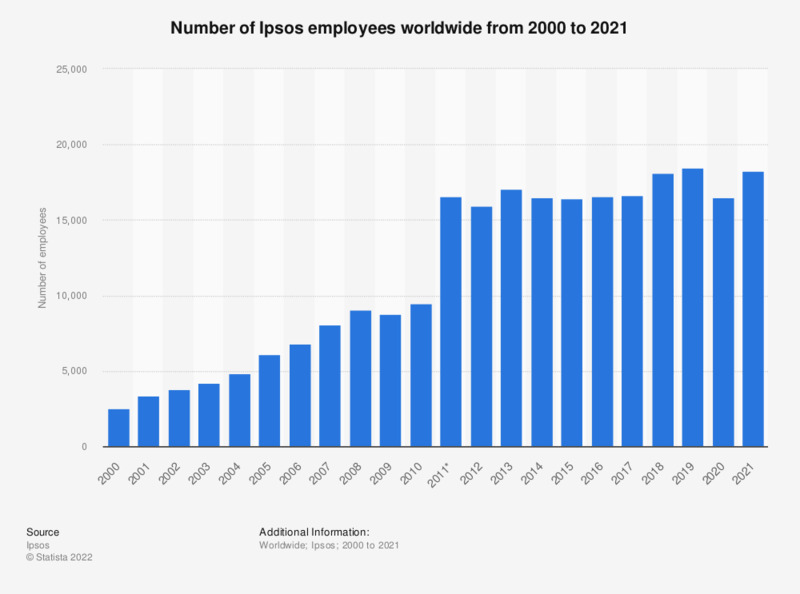 This statistic shows the number of Ipsos employees worldwide from 2000 to 2017. In 2017, market research company Ipsos employed 16,700 members of staff worldwide, up from almost 16,600 in the previous year. * The increase in the number of employees from 2010 to 2011 is mainly due to the aquisition of Synovate. Values for years up to 2016 were taken from previous editions. Everything On "Market research" in One Document: Edited and Divided into Handy Chapters. Including Detailed References.